The Harvard Club of Naples cordially invites you to join us for the Club's Annual Meeting & Dinner featuring Philip Lovejoy, Executive Director of the Harvard Alumni Association. 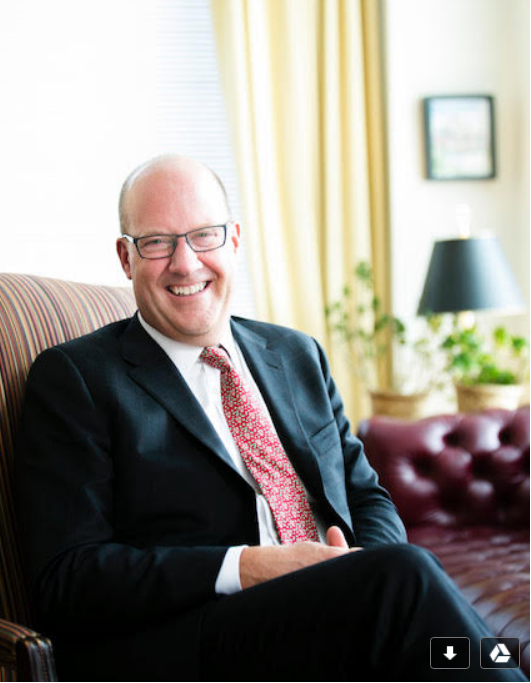 As executive director of the Harvard Alumni Association (HAA), Philip Lovejoy leads the University’s alumni engagement strategy to connect a community of more than 330,000 across the globe. During his time in this role, Philip has grown and expanded partnerships with more than 4,000 alumni volunteers, all of whom dedicate countless hours to deepen alumni engagement in their communities. He has also positioned the HAA to build new opportunities for engagement, such as the Your Harvard series, which saw more than 7,500 attendees in 17 cities around the world. Under Philip’s leadership, the HAA has transformed its approach to young alumni and student engagement, restructured the organization’s board of directors to better meet the needs of volunteers, and worked with volunteers to grow the number of Harvard Clubs to nearly 200 and Shared Interest Groups to more than 50 worldwide. Starting in spring 2018, Philip also took on the role of overseeing Commencement morning exercises. He currently serves on the boards of the Harvard Club of Boston and Harvard Magazine. Philip’s career at the University began in 1998 when he came to Harvard’s Museum of Natural History to lead public programing and fundraising efforts as the director of external affairs. After joining the HAA in 2004, Philip worked in a variety of roles across the organization, most recently as deputy executive director, and prior to that as director of University-wide alumni affairs, and associate director of alumni education. The son and grandson of Harvard graduates (and great-grandson of a Radcliffe alumna) who were also dedicated alumni volunteers, Philip cannot remember a time when the University was not a part of his life. Harvard and its impact in the world were common topics at the family dinner table. Reflecting on these conversations and speaking with alumni across the globe greatly inform Philip’s vision to create a more deeply engaged and connected alumni community—alumni who are as excited about the Harvard of today as the Harvard of the future. Philip currently serves on the board of the Blue Hills Foundation and formerly chaired the board of the Boston Center for the Arts. He has also served as board president for the Gay, Lesbian & Straight Education Network and is currently a member of Harvard Traveler’s Club and the Society of the Cincinnati in the State of New Hampshire. Philip is a graduate of Trinity College. An avid traveler, he has visited more than 60 countries and enjoys good food, inspiring art, and the great outdoors. Click to here to purchase tickets!